The Inspire Theatre Company (33445 Warren Rd. in nearby Westland) will present their version of Neil Simon's Broadway hit Rumors this weekend. The premise of Rumors is that when several affluent couples gather in a posh New York suburban residence for a dinner party, everything goes askew. The premise has a discovery that the servants and hostess is missing for a special anniversary party. The host, who is the deputy mayor of New York City, has shot himself in a very awkward way. Comic complications arise when everyone decides they need to conceal the evening’s events from the local police. In a few second act scenes, Bobbi Gladden does just that, as she plays the dizzy celebrity chef, Cookie Cusak. She is caught holding in her laughs as the audience joins in with loud howls of approval. Lisa Brawley carries the first act as Chris Gorman and she transitions by setting up punch lines after the intermission. The production is lengthy but the hi-jinks are continuous as the entire cast kept up a continuous momentum. Richard Holland keeps the audience alert with his rendition of deafness to the max and the second act veteran policemen are so very believable and are great additions to this laugh-out-loud comedic gem. 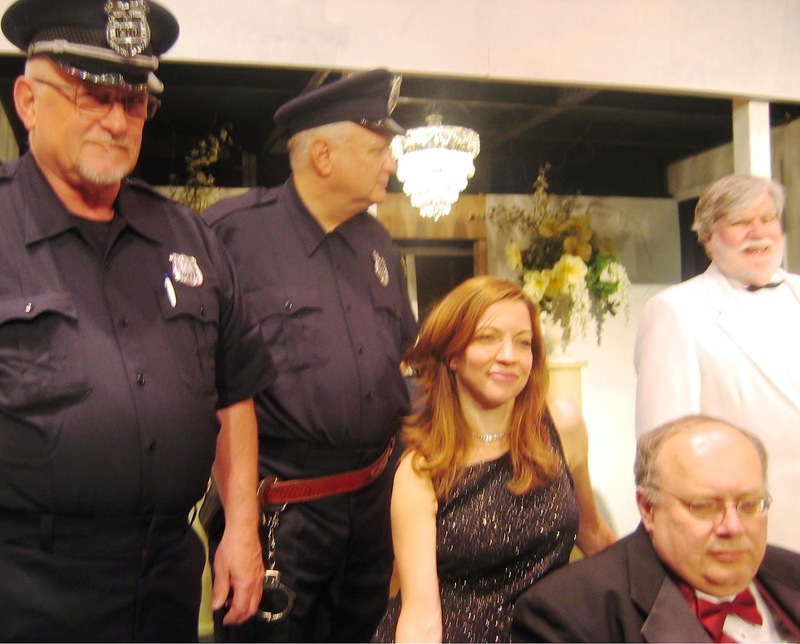 The Inspire Theater Company is in its eighth season, and this play was directed by Len Fisher. His passion was evident as he platformed plenty of extra laughs in the right spots. The next presentation for the Inspire team will be Love Boat in July and the artistic efforts and staging will also include the labors of Nancy Rocker. Rumors will be showcased on Friday and Saturday at 7:30 p.m. and Sunday at 3:00 p.m. at 33445 Warren Rd. in Westland, Michigan. Seats are $13 and reservations can be made by calling the ticket line at 734-751-7057.